I do not publish anonymous comments. This has proven the only surefire way of preventing spam. So if you wish to comment on one of my posts--thank you!!! But please do not do so anonymously. The Griot Company has yet to fail to give quality in any production. From that sentence you can expect a positive review, which this is indeed. If that should suffice, go no further. Their production of Othello is a good one, full of fine actors giving good performances and with a wonderful clarity of purpose nearly all good Shakespeare (and all good theatre) contains. Othello is easily my least favorite of the Bard's great plays. For whatever reason I found most productions rather uninspiring, even with some truly amazing actors in the roles. Worse, when I saw some interesting-sounding variations on the text (regular reader will know that attracts me like a bee to honey) the result proved uncompelling. 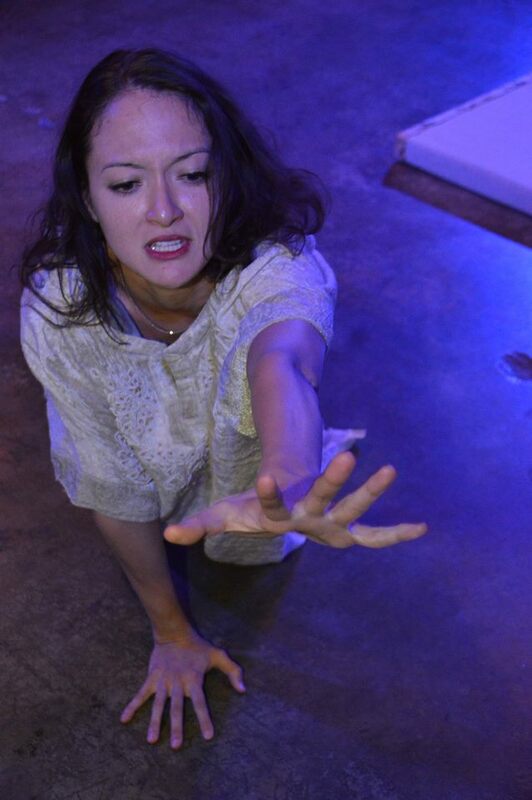 Until a few years ago when first the New Illyrian Players then Zombie Joe's did some productions which blew my mind. Now Griot's Othello does something very close. This company has won some real and deserved fame for inclusiveness of casting, with very positive results. Here they do something similar, in surrounding the dark-skinned Moor (Malik B. El-amin) with those of Asian descent. How marvelous! More, and this is vital, they did not simply cast that way and leave it at that. Neither did they just let that reflect in the costuming (which they do) and stop there. No, what this production does is re-imagine why all these characters are Asian, then bring that re-imagining into the blocking, the gestures, the lives of the characters. That marks my own real criticism of the show. I wish they'd done it even more. On the other hand, I have a hard time imagining how, that counts as nitpicking. Mostly, though, let me praise the cast, especially the leads. This sordid story as a plot only fascinates when we care and recognize those involved. It begins with Iago (Hazel Lozano) and his--or in this case her--catspaw the foolish Rodrigo (Napoleon Tavale), as news of Othello's sudden marriage to Desdemona (Alexandria Hellquist) spreads. Iago wants revenge for on Othello. Here let me point out most productions try to find a deeper motive for Iago's expressed motive. No problem with that, if the attempt succeeds. Here we have a more straightforward and chilling interpretation--Iago as psychopath. No trace of guilt. No holding back on telling lies (that I actually believed Iago at times, knowing her words to be lies, speaks libraries right there). Total ruthlessness amidst utter manipulative charm. Less basic humanity than Hannibal Lecter, who at least has some sense of fairness. Not so this Iago, not even a little bit. This shows up perhaps most vividly not in the plot to destroy Othello, but in her relationship with her partner Emilia (Evie Abat). Here we see a marriage which makes one's skin crawl, because we can see (unlike Othello and Desdemona) nothing sincere save the wife's devotion, despite her best wisdom. Of course this appeals so much to me because this couple always seems like the counterpoint to the main one. Likewise this Desdemona makes for a fine, layered character, a younger and less cautious version of Emilia in many ways. She thinks herself strong. She has that potential. In fact her sincere, passionate naivete simply makes things worse in the context of the never-married, brilliant yet unwise man she has fallen for. Rather than go on and on about all the cast--Paul Wong, and Caesar Cipriano including--who bring the story and the specifics of this tale to life with considerable skill and (most important) truth, let me note what makes this so topical. 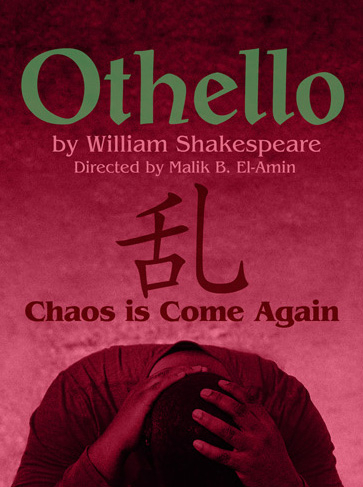 Because under Malik's direction this Othello focuses on the tragedy of trust--how we yearn to trust, and seek to be trustworthy, so often failing in both. Worse, we sometimes trust too easily or second guess ourselves, both leading to catastrophe. Yet the play has no easy answers for this very human conundrum. Mr. Shakespeare and his collaborators in this cast and company know better than to offer simple answers. So the tale remains, an echo in our souls, after we leave the theatre. 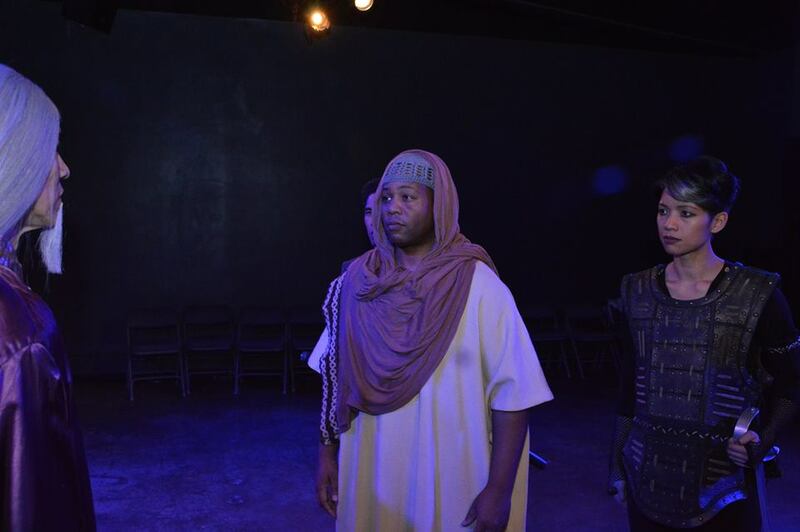 Othello plays Fridays and Saturdays at 8pm, with Sundays at 4pm, until October 7, 2018 at the Actor's Company, 916a North Formosa, Hollywood CA 90046. I had a teacher back at the National Shakespeare Conservatory who viewed only two playwrights in the 19th century as "giants." 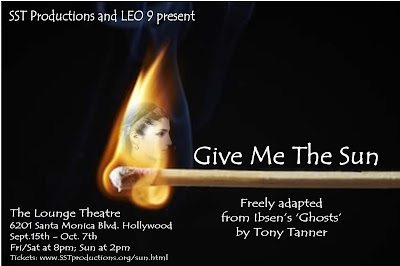 One was Norway's Henrik Ibsen, author of Ghosts which Tony Tanner has now 'adapted' into a somewhat streamlined version, titled Give Me the Sun. The original proved deeply controversial in its day. The notion of even mentioning venereal disease in polite society shocked and disturbed audiences over a century ago. What Tanner does in this version is not so much recreate the same feeling as tweak it in ways making the story more interesting to a modern audience. Social commentary focuses more upon dishonesty, upon keeping up appearances at the expense of happiness. Ibsen's original built upon a squeamishness no longer nearly so extreme or common. Instead Tanner shifts focus upon hypocrisy, upon willful stupidity and the habit of conformity. Honestly the total effect--in terms of the script--proves less shocking, less powerful but more engaging. Tanner also directed this production, and here there's a delightful level of just raw, pure competence. Everyone dove into their roles with skill, so that even the weakest of them still did a fine job--and best of them enthralled. The central character remains the widow Helene Alving (Alison Shanks), one of those female characters for which Ibsen rightly won so much fame, brought wonderfully to vivid life in this production. Having lived a lie for decades, she now feels quite ready to spit it out, all concern for the rules of polite society burned away by marriage to a drunken libertine admired by all as a great, civic-minded citizen. Now her son Osvalt (David Shofner) is home, a successful artist, she can finally reveal why she kept him away--i.e. to protect the boy from his father. She ultimately reveals all this to the local minister, Manders (Stuart W. Howard) shocking him to the very core. Although straight-laced and narrow minded, he turns out humane if not morally very brave. Well meaning, but loving order more than love--which makes him in some ways the most pathetic character on stage. Half of the shocking things she tells him he dismisses or forgets, with a pervasive habit of myopia the actor makes as vivid as it must come across as tragic. Manders in fact can be easily manipulated by those ruthless and skilled enough--especially by a half-crippled sometimes-drunk named Engstrand (Joe Hulser). Here is the one whose skillful deceit--so skilled I found myself believing him even when I knew it to be a lie--demonstrates a bit of the real world this man of God so little understands. Finally we have Regina (Jill Maglione), Engstrand's daughter who's been raised in the Alving household and to whom the returning Osvalt feels such attraction. Ibsen's words (through Tanner's lens) naturally reveals the secrets and tragedies which lie behind and within events. Here we experience tragedy focused upon not the great and powerful but the rest of us. This was the start of what led to giants like Williams, Albee, and O'Neil. Not the hearts of kings or the mighty, but the epic of ordinary lives, which require so much silent and rarely applauded courage. And in that courage, there is greatness. In its absence the tragedy. Helene, once the slave of conformity, can now look at the prospect of her son perhaps wedding his illegitimate half-sister and thinking only "Will they be happy?" She finds in herself forgiveness to her late husband, realizing the fierceness of his heart turned in on itself by that conformity. Faced with what for any parent must be the worst terror--the doom of her child--she smothers tears and stands straight when she clearly longs to flee. Just as her son, desperate in the face of horror, proceeds with a brave resolve, accepting the sort of truths good pastor Manders would forever refuse to see. So instead of a searing indictment of moral cowardice involving one specific issue, we get a more rounded examination with less focus but more compassion. Less of of an accusation, more of a sad tale with failed heroes rather than any real villains. One that touches our hearts more, while stirring up one's bile less. 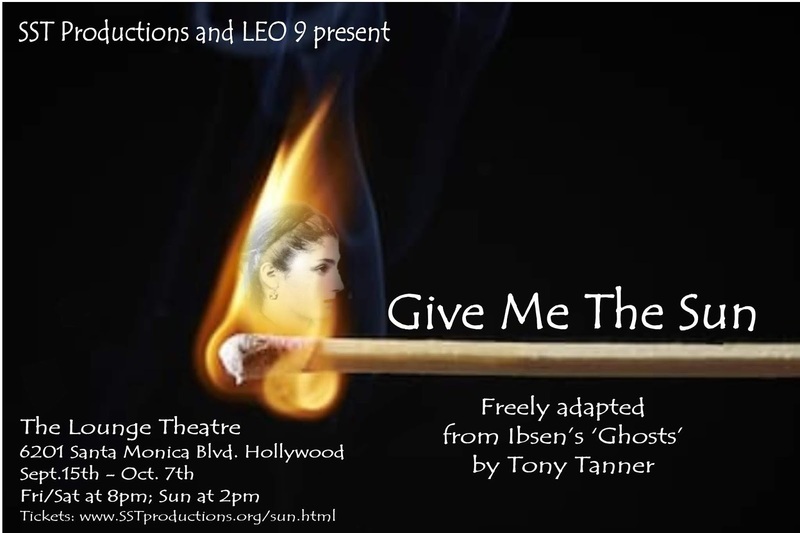 Give Me the Sun plays Fridays and Saturdays at 8pm and Sundays at 2pm until October 7, 2018 at the Lounge Theatre, 6201 Santa Monica Blvd. (one block east of Vine), Hollywood, CA 90038. A man comes to the park in a small Irish port. He's there to see the swans, especially Agnes--the one who lost her mate. The man, named Occi (Andre de Vanny) apologizes to Agnes for being tardy. But he wasn't in trouble "not this time." Soon he is introducing us to his friend the swan. In the process, and eventually with profound depth, he introduces himself as well. A strong lad is Occi. Well, he's needed to be. He and his Mum have only had each other pretty much their whole lives. It emerges she had him out of wedlock. In this community, the pair of them might as well have worn Red Letters A on their chests. Or a yellow star on their clothes. Swan Song by Connor McDermottroe is a one person show, a challenging form that flies or sinks very much on the interest and passion one performer can generate and inspire for an hour or more. Here we have a hard time tearing our eyes away. De Vanny comes across as emotionally naked, open to a degree that warms our hearts. As we learn more, however, the hint rises and becomes vividly clear--he must have paid a fearful price for achieving this. For here is a story about compassion, about the lack of it which cannot help but make a hard world a thousand times worse than it must be. Oh compassion exists alright. If it did not, Occi would likely be rocking to himself, eyes staring at nothing, his bloodstream infused with drugs for decade after decade until he rotted away. But there wasn't enough. There could have been. Such is the experience of this man's life, unfolding before us with yes lots of charm and plenty of humor, his remarkably modest hopes coupled with plenty of really wonderful virtues. Despite his problems, this performance (helped no doubt by director Greg Carroll) allows us to see in someone deeply troubled, haunted by past crimes, what the very best theatre often does show us. Ourselves. The sad lonely boy. The shunned mother at her wit's end turning to drink. The sad young woman who finds in Occi a kindred spirit. The hard-working, hard drinking pal who becomes first Occi's best friend then his victim. Mostly Occi himself. Us. Me. You. 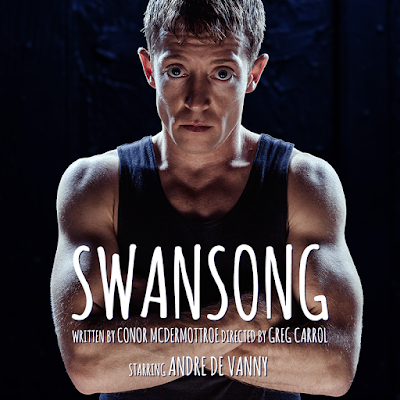 Swan Song plays Fridays and Saturdays at 8:30pm; 2:00pm on Sundays; and 8:00pm on Mondays through October 7, 2018. at the Skylight Theatre, at 1816 1/2 N. Vermont Ave, LA, 90027.